If your goal is to turn the tide on Mother Nature, then a facelift in may be right for you. A facelift is one of the most commonly requested cosmetic surgery treatments and it is designed to address the effects of aging on the face and neck. FIRST IMPRESSIONS: The face is the first thing people notice about you. It is what they make their first impression on. INSIDE MATCHES THE OUTSIDE: With modern medical technology and a general healthier outlook on life, people are living longer. In many cases people want the outside to match the youthful feeling they have on the inside. MAINTENANCE: Much like the inner feeling of youth, many people feel like a facelift is simply general maintenance. You take care of your house, your car, the rest of your body, keeping up with the aging process is simply good body maintenance. SELF-CONFIDENCE: As with most cosmetic surgery procedures, the biggest reason people consider facelift surgery is to boost their self-confidence. Looking into the mirror and seeing the person you knew to be you years before can increase your self-esteem and confidence in daily life. CHOICE OF DOCTORS: When you schedule a consultation with Atlanta Plastic & Reconstructive Specialists you have the choice of one of our highly trained, expert surgeons. Our team is comprised of expert surgeons that are highly respected in their field. EXPERIENCE IS KEY: Not only does our have decades of experience, but they have results to back it up. When you meet with our doctors you are meeting with the best! BOARD CERTIFICATION: Any doctor performing plastic surgery should have Board certification. It is the benchmark for expertise in the field. All of our doctors are board-certified or double board- certified. In fact, Dr. Nunn is the only doctor in country who is triple board-certified. SAFETY COMES FIRST: The safety of our clients is the number one priority for our team. To help ensure this, our doctors have established their practice in the medical offices at Saint Joseph Hospital, Atlanta’s leading medical facility. When you have a procedure done at Atlanta Plastic & Reconstructive Specialists, the top medical resources are right at the doctors’ fingertips. YOU’RE A PERSON, NOT A PROCEDURE: What truly makes Atlantic Plastic & Reconstructive Specialists special is that our team is concerned with your happiness first. You are more than a procedure to be performed; you are a person whose safety and satisfaction come first. By making incisions within the hairline above and behind the ear, nobody will know you’ve had a facelift procedure unless you tell them. Your surgeon then takes the loose skin and deeper muscles and pulls them tight, smoothing fine lines and wrinkles that show signs of aging. The skin is then reattached and tightened to hold the look in place, adding a new tone to your face. 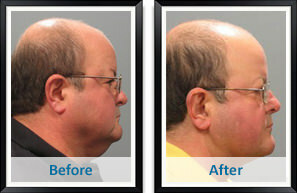 Any extra skin is removed and, if need be, excess fat can be suctioned off (this is usually done in the neck region). With a facelift you’ll appear refreshed and your youthful glow will beam back at you from the mirror once again. The lunchtime or mini facelift is a surgical procedure that is performed in our office minor OR with mild sedation and a local anesthetic. 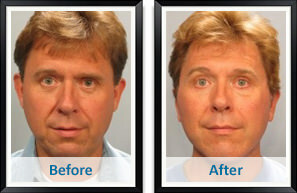 The mini lift targets the facial aging changes mostly in the mid to upper face region. It does not correct severe jowling or the “turkey neck” appearance. It is a rejuvenation procedure with limited incision and the usual recovery time is 5-7 days of bruising and “downtime”. Many patients these days are treated inappropriately with repeated expensive “fillers” that do not quite fix the problem. Some patients need a min lift in conjunction with fillers or in place of the fillers alone. Dr Mackay offers both surgery and fillers depending on what is indicated and what the patient’s budget allows. A facelift procedure in Atlanta, like any other cosmetic procedure, requires careful consideration and consultation. Contact our practice for the most up-to-date information regarding techniques, risks, and benefits associated with the procedure. Being informed will help you achieve the best possible results from your cosmetic surgery.